Extends timeline from 1453-1793 to 1453-1822. Extends timeline to start at 1399. 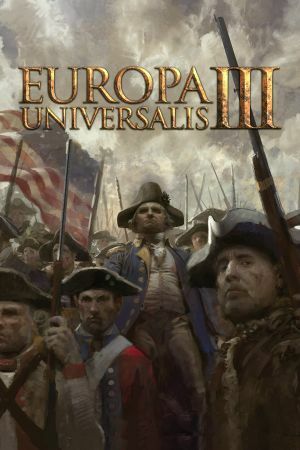 Europa Universalis III: Complete includes Napoleon's Ambition and In Nomine. Europa Universalis III: Chronicles includes Heir to the Throne and Divine Wind. Change fullscreen=yes to =no in settings.txt file. Also change your resolution to a lower one, otherwise it won't work. Change anisotropicfiltering=0 to =1 in settings.txt file. Problems with the game crashing, with an error in d3dx9_35.dll or d3dx9_41.dll may be caused by missing DirectX 9 components. Installing DirectX 9.0c from Microsoft may correct this problem. Install the DirectX End-User Runtimes. Along with DirectX 9.0c, Europa Universalis requires additional Microsoft software to run on Windows. These may already be installed on your computer, however if you are having problems, reinstalling them may help. The Europa Universalis Complete edition contains a tutorial mode that does not function, and Paradox has advised players not to use it. Beginning with the second tutorial, the game may crash when the tutorial is activated. Renaming or deleting the game's music folder may prevent the crash, at the expense of the music. This occurs when playing DLC Heir to the Throne. It is fixed in Divine Wind, or in one of the released beta patches. Downloading the beta patch requires you to register your game with Paradox Plaza. If the music doesn't play, installing k-lite codec pack may correct this. ↑ 1.0 1.1 File/folder structure within this directory reflects the path(s) listed for Windows and/or Steam game data (use Wine regedit to access Windows registry paths). Games with Steam Cloud support may store data in ~/.steam/steam/userdata/<user-id>/25800/ in addition to or instead of this directory. The app ID (25800) may differ in some cases. Treat backslashes as forward slashes. See the glossary page for details.